These schools have branches around Mexico! Many friends take classes at the Baden-Powell Institute in Morelia on Antonio Alzate. They have either group lessons or individual classes and offered 5 days a week. They looked at other language schools in downtown Morelia, and did not see anything priced better. Moreover, the teachers at the Institute are awesome and the two brothers that run the Institute, Eugenio and Gabriel, have gone the extra mile to ensure our six months in Morelia are comfortable. They also rent very nice and well-priced furnished apartments in the heart of the centro historico. 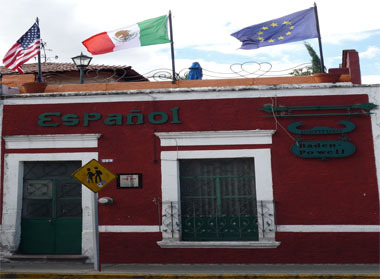 I have heard really good things about CELEP in Patzcuaro. A course begins every Monday throughout the year. You don`t have to send a deposit in advance. Credit card (MasterCard or Visa) or personal check are accepted. Balance to be paid on first day of course, by cash, credit card or travelers checks. Prices include two weeks of language instruction and cultural immersion (seven hours daily, Monday-Friday) and class text. 4 hours daily of academic instruction Mon-Fri.
• 4 hours daily of academic instruction Mon-Fri.
• 3 hours daily of cultural activities Mon, Wed, Fri.
For increased language inmersion, we recommend you consider lodging with a Pátzcuaro family, where you will have the opportunity to share two meals daily with them and enjoy an inside view of Mexican life. We have carefully selected participating families. A second option is hotel accommodation. 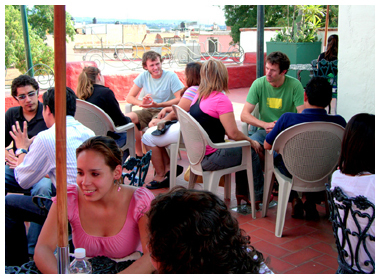 Most lodging is in central Pátzcuaro, within walking distance of the school.